A Florida wrongful death case against a Palm Beach Sheriff’s Office that received widespread attention in the news is now scheduled to start federal court on Monday, February 13th. The young man’s family is suing over the death of their 24-year-old son, who was shot in 2012 by an undercover officer parked on the family’s property. During the pretrial hearing on February 8th, the judge rejected the argument that the young victim’s political leanings served as justification for the shooting, but determined that facts concerning the sergeant’s (shooter’s) missing cellphone and how the officers treated the victim’s family were admissible for the jury to consider during trial. In this case, the victim’s family has alleged that not only was the victim’s mother not allowed to hug her son’s body at the hospital, but she may have even been knocked onto the floor by a Sheriff’s Office employee as well. The judge also ruled that an email referencing the shooting as an “evil plan” will also be allowed into consideration by the jury. The victim’s family strongly believes that this “plan” referred to getting ridding of the sergeant shooter’s cellphone, which has mysteriously disappeared. Unfortunately, it seems that more and more families are losing their loved ones to questionable shootings around the country. When police shoot someone and cause their death, a common claim that is brought by the victim’s family is use of excessive force and wrongful death. The law states that officers should only use the amount of force necessary to ameliorate an incident, arrest someone, or protect themselves and/or others from harm. Thus, lethal force should only be used when a threat is perceived, and not if it is unnecessary. 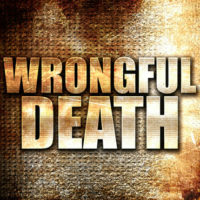 A wrongful death claim typically accompanies a civil action in which damages are sought against the party who caused the death, often when a criminal case either cannot be brought or has not been successful. These claims can not only be brought against the individual responsible for the death, but also against the police department they work for, particularly if there are associated claims related to the shooting incident, such as the failure to properly train the officer. Families who lose a loved one unexpectedly can never be made whole in the same way again without having that loved one in their lives. However, filing a wrongful death claim can help ease some of the financial concerns that can result from an injustice like this, particular when loved ones leave families behind. When a death is caused because of another’s negligence, recklessness or misconduct, the Fort Lauderdale wrongful death lawyers at Friedland & Associates can help. We fight for justice on behalf of victims of wrongful death and their families. Contact us today for a free consultation.